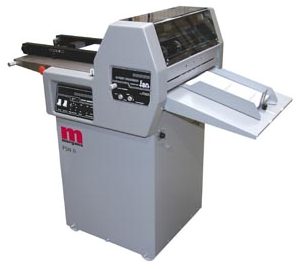 Refurbished Print Finishing Equipment and ex-showroom machines. 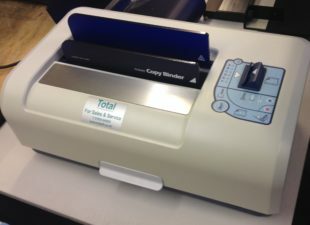 All machines have been fully refurbsihed and tested by our in-house engineers. Many machines would have been inititally supplied and serviced by TOTAL PFS throughout their life time and all are in excellent condition. Our fully trained and certified engineers carry out extensive refurbishments to bring the pre-owned machines up to the highest standards. All our refurbished machines can be viewed in our Weston super Mare showroom or we can provide on-site demonstrations of most machines. 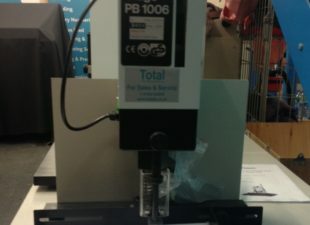 We can also offer a full delivery, installation and operator training service to ensure that the customer gets the most out of their machines and understands every aspect of their operation – combined with our industry leading ongoing service and maintenance, this means that any refurbished pre-owned or ex-showroom machine purchased from Total PFS can provide many years more productivity at a fraction of the investment required for new equipment. We always have new machines coming in to stock, if you cannot see what you are currently looking for, please do not hesitate to contact us for assistance. 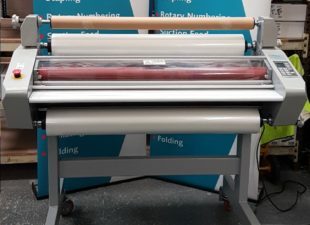 If you need any advice on the best machines to help your productivity and requirements, we have many years experince in Print Finishing and are more than happy to help! 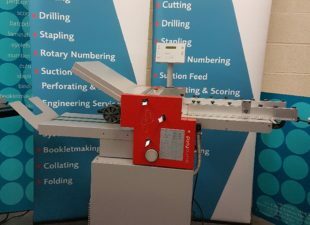 Duplo DBM120 Bookletmaker is a reliable and versatile booklet maker supplied here with a Duplo DFC-10 collator. 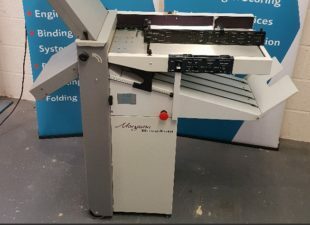 It can run of speeds up to 2,400 booklets per hour and its simple, automatic set up means it is perfect for short run production. 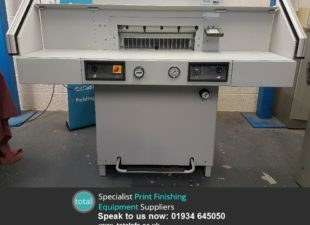 Eurofold 235SM with Batch Counter – Fully refurbished by our in house engineers and in excellent condition. 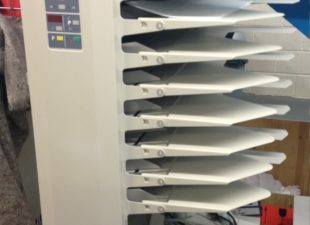 Buying a refurbished machine from Total Print Finishing Services Ltd means that you are buying a machine that has been fully and completely refurbished to an extremely high standard by our in house engineers. Fully refurbished by our in house engineers and in excellent condition. Serviced and maintained from new by Total PFS. 520mm cutting length, hydraulic clamp, high speed steel blade, IR safety guards optical cutting line, suitable for both digital and offset print, includes optional side tables. 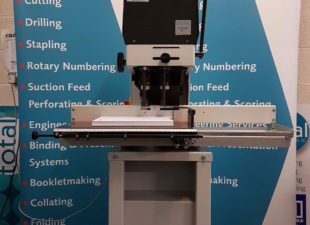 A robust machine with a cutting width of 650mm, automatic clamp, digital measurement display, Digital key pad operation for measurement and programming, complete with stand. 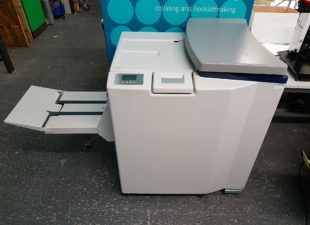 Morgana FSN Rotary Numbering Machine – fully refurbished by Total PFS. Suction fed, uses rotary numbering action. 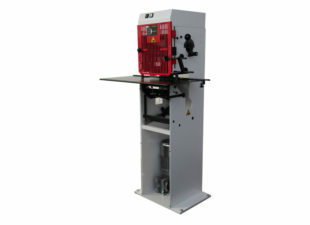 The operating principles are similar to those used on litho presses. ‘Point contact’ ensures superb quality on single sheets and unmatched definition when crashing through multi-part sets. Simple adjustment to the platen pressure compensates for varying stock thicknesses. 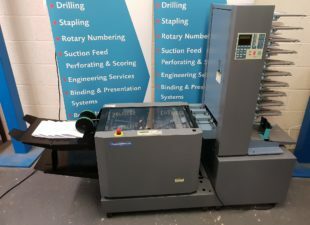 Fully refurbished and in great condition, Nagel Citborma 280B Twin Head Paper Drill, supplied with pedestal for optional foot treadle operation (pictured set up for hand operation) with 2 x new Teflon Coated Drill Bits and Protection Strip. 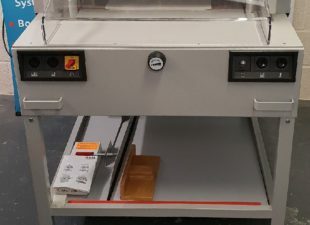 Fully refurbished.great condition, Plockmatic BK5010 Booklet Maker. 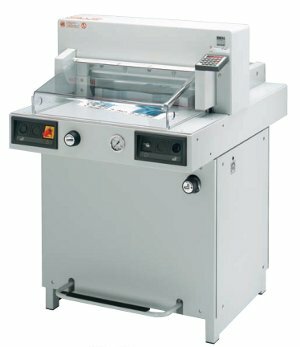 Simple digital display for easy operator use plus auto set up and adjustment, uses staple cartridges of 5000 staples. 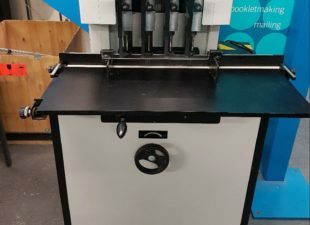 We highly recommend this refurbished Paper Drill. The Stago PB1006 Paper Drill is ideal for any office. 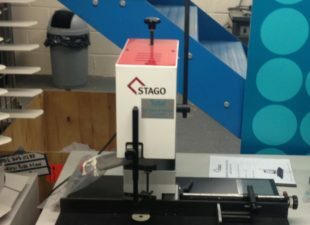 Fully refurbished and in great condition, Stago PB5010 4- Head Paper Drill, power stroke machine with foot-switch operation. Supplied with 4 x new Teflon Coated Drill Bits and Protection Strip. The Stago USM 140 Stapler is ideal for those heavy duty jobs, formerly known as the Winterling KM16. Total PFS are UK exclusive distributors for all Stago products.